Choose from 2506 hotels and guest houses in England. Shown below a just a selection of the hotels available. To search within an area please use the menu on the right. With glorious views across the sparkling bay to the craggy Dorset coastline, this Georgian hotel centres itself on traditional hospitality. Choose from a choice of comfortable rooms, most with superb sea views. The hotel offers on-site parking, is conveniently close to Weymouth Railway Station and only a few minutes walk from the town centre, with its many shops and restaurants. The beach is even closer, just across the road. With magnificent views across the bay, the Prince Regent's restaurant offers delicious food, using fresh, local produce wherever possible. Vegetarian and children's options are available. There is a wide selection of wines to accompany any meal. You can enjoy lunch in the bar, and light snacks are available 24 hours a day. 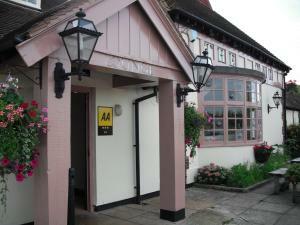 Opened in 2009, the air-conditioned Days Inn Stevenage is off the A1 (junction 10) at Baldock Service Station. It's around 30 minutes from Luton Airport and Cambridge; 50 minutes from London and Stansted Airport. Every spacious room at Days Inn Stevenage North is air conditioned, with an en suite power shower. Contact the hotel after booking to arrange early check-in (from 11:00) or late check-out (until 14:00) at an additional cost. The location at the service station means guests have easy access to a variety of shops and food outlets. In the stunning Ironbridge Gorge, on the banks of the River Severn, this beautifully preserved Georgian country house offers luxurious accommodation, free Wi-Fi and an award-winning restaurant. Winner of Best Western's Hotel of the Year 2008, the Best Western Valley Hotel is located in the World Heritage Site of Ironbridge. The hotel is set in its own secluded grounds, surrounded by stunning European-award-winning parkland that sweeps down to the banks of the River Severn. The world-famous Ironbridge is less than 10 minutes' walk down the river from the hotel. This 3-star country house hotel has 44 individually designed en suite rooms, some with queen size or four-poster beds and wonderful views. The Chez Maw Restaurant has an excellent reputation and has won 2 Rosette awards for the outstanding preparation of its food and the good quality of the ingredients it uses. Free private parking is available on site. Conveniently situated on the A14, Premier Inn Ipswich North is close to Ipswich town centre and Ipswich Football Club, a 10-minute drive from Portman Road football ground. Some of the comfortable rooms at Premier Inn can accommodate 2 adults and 2 children (under 16 years). The 2 children are also served a free full breakfast, when accompanied by an adult eating a full breakfast. The full all-you-can-eat breakfast includes cooked items, vegetarian options and a wide continental selection. Premier Inn Ipswich North offers a range of dining options, including contemporary Slice restaurant, serving a varied menu in a relaxed environment. There is a 24-hour reception and free parking at this Premier Inn. 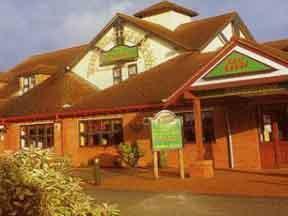 The Oak is a traditional village pub on the outskirts of Coventry, very close to Coventry Airport. 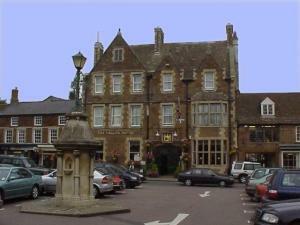 The pub is a 10-minute drive from the town centre. Major motorways are easily accessible. The Oak has log fires, beers and quality home-cooked food as well as a large bar area with comfy seats. All rooms are en suite with tea/coffee-making facilities, hairdryers and TVs. Providing comfortable, good value accommodation, Premier Inn Harwich is situated close to Harwich Ferry Port and beaches, only 1 mile away from Harwich town centre and its many shops. Some of the comfortable rooms at Premier Inn can accommodate 2 adults and 2 children (under 16 years). The 2 children are also served a free full breakfast, when accompanied by an adult eating a full breakfast. The full all-you-can-eat breakfast includes cooked items, vegetarian options and a wide continental selection. Premier Inn Harwich is next to the Mayflower Brewers Fayre restaurant, serving pub favourites in a welcoming environment. There is free parking and a 24-hour reception at this Premier Inn. Premier Inn Welwyn Garden City is about a mile from the train station, close to the A1(M) and a few miles from Hatfield Galleria shopping centre. Trains from Welwyn Garden City frequently run into Central London. The hotel has free parking and an on-site, family-friendly Beefeater pub/restaurant. 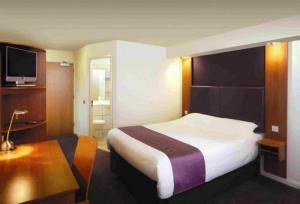 Each room has a great bed, and some rooms at Premier Inn can take 2 adults and up to 2 children (under 16 years). The 2 children also get a free full breakfast when accompanied by an adult eating a full breakfast. The full all-you-can-eat breakfast has the expected cooked items, including vegetarian sausages, as well as a wide continental selection. 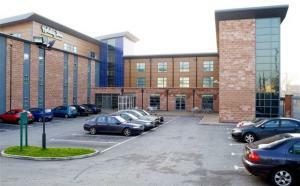 Days Hotel London North offers good value accommodation and has excellent access to the M1 motorway. Central London is 9 miles (14.5 km) away. All of the spacious, air conditioned rooms have comfortable beds and satellite TV. Dine at the onsite Indigo Restaurant or relax in the bar, with a plasma-screen TV showing sports. Children under the age of 12 years stay and eat free. Discounted breakfast and dinner rates are available if booked at the time of online reservation. Free parking is provided. Edgware Tube is 3 miles (4.8 km) away. Set in Botley, Southampton, this luxurious hotel, with extensive leisure facilities, provides the ideal base from which to explore the Hampshire countryside and delightful Solent Coast. Immersed within a 176-acre championship golf course, the Macdonald Botley Park Hotel Golf & Country Club boasts a range of facilities to ensure that your stay is relaxing and memorable. Take advantage of the swimming pool, spa bath, steam room, sauna and solarium, or indulge with a beauty treatment. 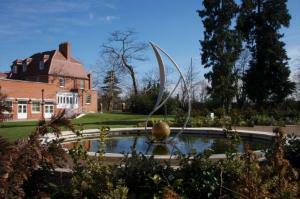 Perfect for both business and leisure, Botley Park is easily accessible, being within easy reach of the M3 and M27. 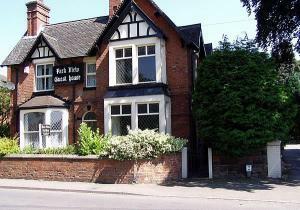 Park View is a Victorian guest house in historic Cheadle, offering free Wi-Fi and good value accommodation. Alton Towers is just a 10-minute drive away. All of the spacious en suite rooms have cosy beds and a TV. Most rooms have a DVD player. Guests may enjoy an inclusive all-you-can-eat breakfast in the spacious dining room, overlooking the park. The hosts are welcoming and friendly. Relax in the comfortable guest lounge and games room, with pool table. There are tennis courts and football pitches opposite the house. 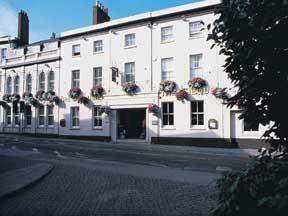 Park View Guest House is within easy walking distance of many pubs and restaurants. Free parking is available. Resting in the heart of Hampshire, this friendly, traditional hotel with a distinctive thatched roof is full of character. Dine in the newly refurbished Potters Bar/Restaurant at the front of the hotel, serving meals throughout the day. All en suite rooms offer comfort and luxury, most with their own personal balcony or delightful terrace with views over the gardens. 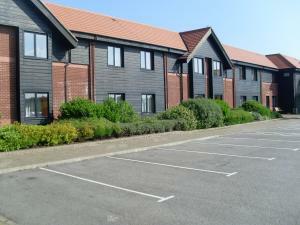 Potters Heron enjoys an excellent location close to the M3 and channel ports of Portsmouth and Southampton. From here you can explore the nearby cathedral city of Winchester, the ancient New Forest, Itchen Valley river walks, beautiful gardens of Exbury, Mottisfont, Hilliers and Romsey. With an ideal location, Premier Inn Evesham is opposite Evesham Country Park, offering a convenient base from which to explore Evesham and its attractive surroundings. Some of the comfortable rooms at Premier Inn can accommodate 2 adults and 2 children (under 16 years). The 2 children are also served a free full breakfast, when accompanied by an adult eating a full breakfast. The full all-you-can-eat breakfast includes cooked items, vegetarian options and a wide continental selection. 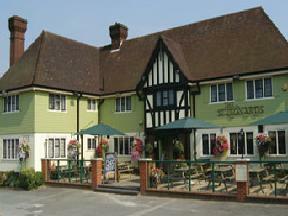 Premier Inn Evesham is next to The Orchard Table Table restaurant, offering cuisine served in a welcoming environment. There is free parking and a 24-hour reception at this Premier Inn. On Birmingham's A4540 ring road, centrally located and with excellent transport links, this Premier Inn hotel offers a restaurant, bar, free parking and spacious, comfortable en suite rooms. The Premier Inn Birmingham Central East is a mile (1.6 km) from the Bull Ring Shopping Centre. The popular bars and nightlife of Birmingham's Broad Street are 1.6 miles (2.6 km) away. Aston University is within a mile, while Millennium Point and the Thinktank science museum are nearby. Aston Villa FC (Villa Park) and Birmingham City FC (St Andrews) are both less than 2 miles (3.2 km) from the hotel. Some rooms can take 2 adults and up to 2 children (under 16 years). The 2 children also get a free full breakfast when accompanied by an adult eating a full breakfast. The full all-you-can-eat breakfast has the expected cooked items, including vegetarian sausages, as well as a wide continental selection. With free parking, this hotel is next to Beckton DLR station, with train links to the ExCeL Exhibition Centre (10 minutes), O2 Arena (18 minutes) and central London (33 minutes). London City Airport is a 10-minute drive. The Premier Inn London Beckton hotel has family-friendly en suite rooms and an on-site Brewers Fayre restaurant, serving good-value, pub-style meals. Some rooms can take 2 adults and up to 2 children (under 16 years). The 2 children also get a free full breakfast when accompanied by an adult eating a full breakfast. The full all-you-can-eat breakfast has the expected cooked items, including vegetarian sausages, as well as a wide continental selection. Perfectly situated on the waterfront, Ramada Hotel & Suites London Docklands is close to London City Airport, with excellent access to central London via nearby Docklands Light Railway. This 4-star hotel offers stylish, contemporary rooms, with en suite facilities and a TV. Some of the luxurious suites have balconies, with striking views across the waterfront. Ramada Hotel & Suites London Docklands has excellent leisure facilities, including a Fitness Room with extensive cardio equipment. Stresa Restaurant provides contemporary Italian cuisine, with superb waterfront views, while the Oval Bar is a relaxing space in which to enjoy a drink. 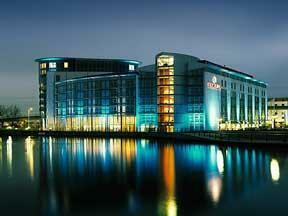 Ramada Hotel & Suites is close to the O2 Arena, ExCel Exhibition Centre and Canary wharf. Situated in the heart of the potteries and close to Alton Towers, a halfway house for any journey north or south. A lodge with conference facilities, 180 seater restaurant and lounge bar and external children's play area. Situated in the heart of the potteries on the new a50 just 6 miles from the m6 junction 15 and 35 miles from m1 junction 23a North & 23 South (please note should you require a late check in, can you please inform us at the time of booking as reception closes at 10.00pm). Our 40 non smoking bedrooms have en suite bathrooms with showers, Sky television, trouser presses and hair dryers and tea/coffee making facilities, as well as all of the little extras you would expect from a high quality hotel. A 10-minute walk from Bromsgrove city centre, this Premier Inn hotel has free parking and is next to the Artix Theatre and Bromsgrove Golf Centre. Birmingham is 30 minutes away by rail or road. Close to the M42 and M5, The Premier Inn Bromsgrove Central is 1.5 miles (2.4 km) from Bromsgrove Station, with trains to Birmingham. The NEC and Birmingham International Airport are 15 miles (24 km) away. This Premier Inn hotel has comfortable en suite rooms and an on-site Brewers Fayre restaurant, serving pub-style meals in a family-friendly setting. Some rooms can take 2 adults and up to 2 children (under 16 years). The 2 children also get a free full breakfast when accompanied by an adult eating a full breakfast. The full all-you-can-eat breakfast has the expected cooked items, including vegetarian sausages, as well as a wide continental selection. Good-value en suite rooms and tasty food are available at The White Horse. The inn dates back to the 17th century and is located on the A140 near Eye. The delightful inn has comfortable motel-style rooms with free Wi-Fi and Freeview TV. Rooms are in a separate annexe in the inn's grounds. The White Horse Inn is located midway between Ipswich and Norwich, and offers welcoming hospitality to travellers, as it has done for many years. Food is served in the restaurant and bar all day. 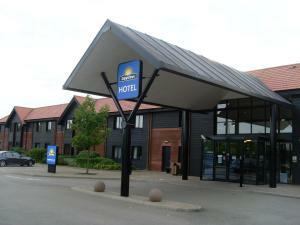 In a countryside location with on-site lakes, this Premier Inn is a short drive from Clacton-on-Sea. Enjoy free parking, family-friendly en suite rooms and a Table Table restaurant. 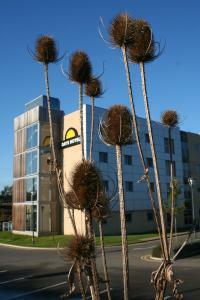 The Premier Inn Clacton-on-Sea hotel is within easy reach of the A12, with 4 different beaches within 8 miles (13 km). Weeley Train Station is a 20-minute walk away and has links to Clacton. Some rooms can take 2 adults and up to 2 children (under 16 years). The 2 children also get a free full breakfast when accompanied by an adult eating a full breakfast. The full all-you-can-eat breakfast has the expected cooked items, including vegetarian sausages, as well as a wide continental selection.